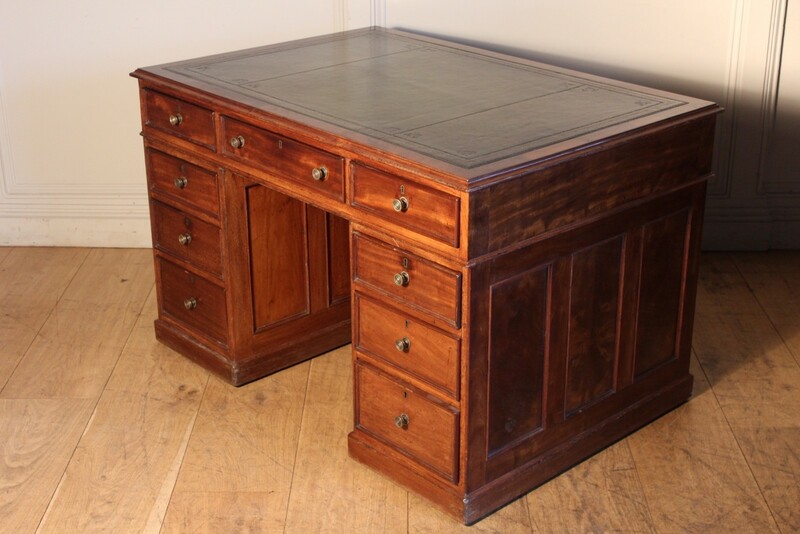 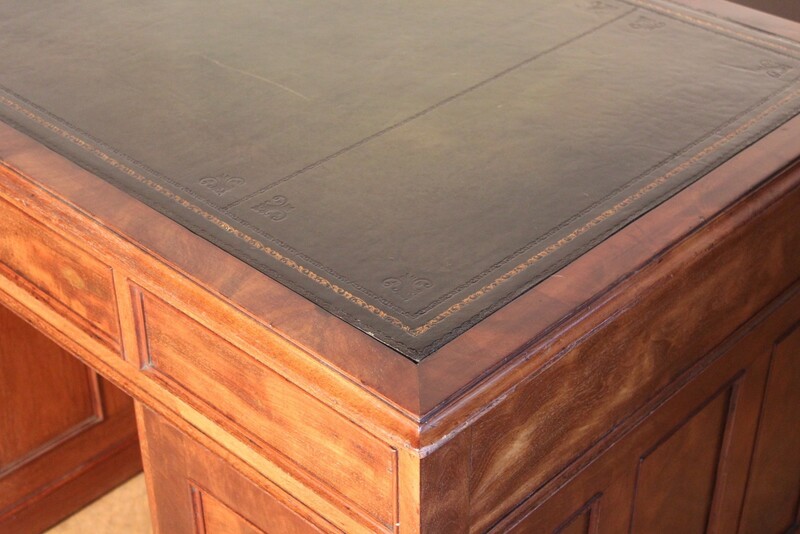 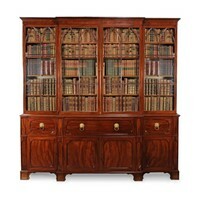 A 19th century mahogany partners desk with nine drawers. 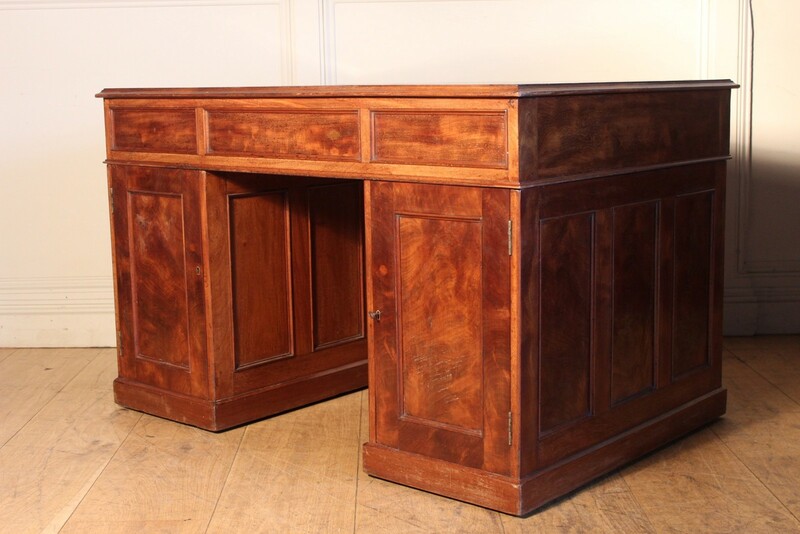 Nine drawers to one side and two cupboards to other side. 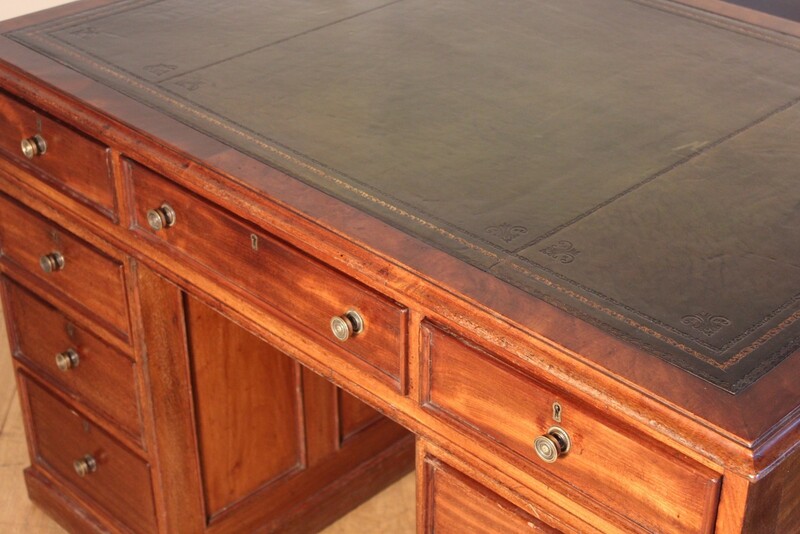 A green leather tooled leather inset to top with thumb moulded edge over two pedestals, nine mahogany lined drawers each with a pair of brass handles, standing upon a plinth base with brass castors.